"While not all players experienced these issues, an update for the game will be available tomorrow, Tuesday, July 28th for the PlayStation 3 which should help improve the overall quality and stability of online play for everyone." 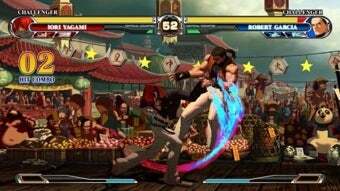 KOF XII is a multi-platform fighter, and the Xbox 360 version is getting a patch — that patch, however, has not been dated yet. It should be announced shortly.